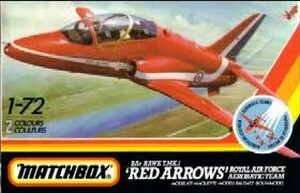 Nose wheel doors are 3 mm too long. 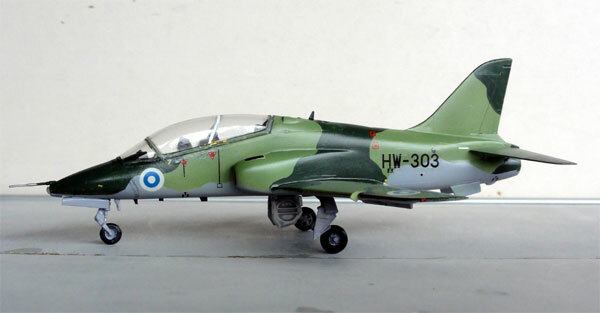 M2: Hawk of Finland air force T.mk51. 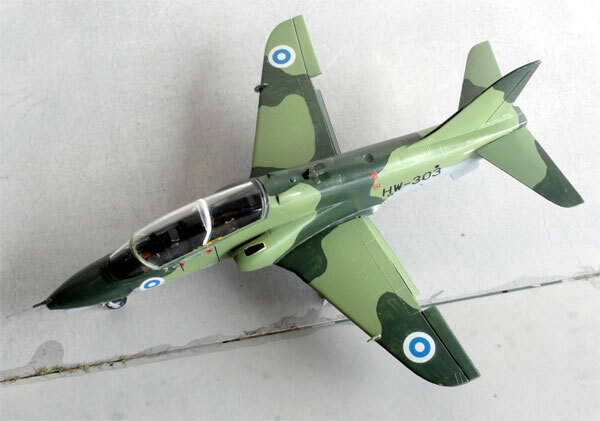 This model is based on the second Matchbox release from 1979 for a T.mk 1 and it has also Finland air force "Ilmavoimat" decals in the kit. As seen, almost no panellines are evident on this kit. So luckily, the deep trenches often seen on Matchbox kits are missing. 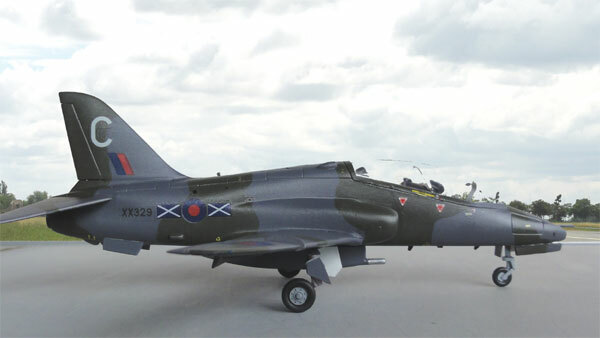 The model was made ages ago and painted in light grey, medium and dark green with the paint brush. 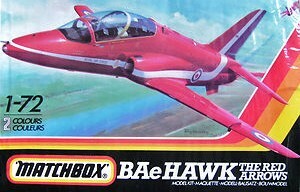 In those days I used Humbrol enamels. 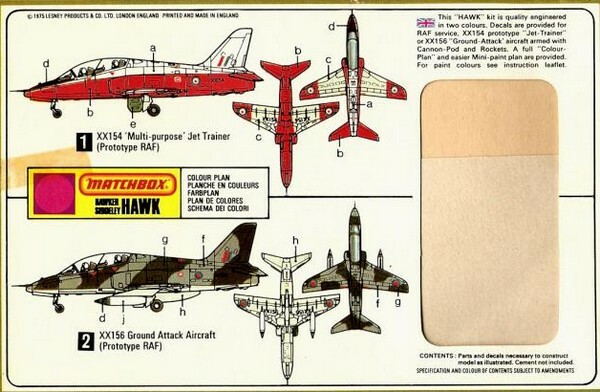 Markings are for Hawk "HW-303". 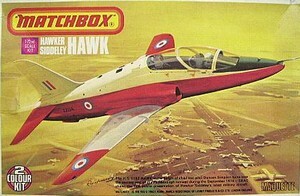 Another Matchbox kit Hawk in a RAF scheme with wrap around camouflage. 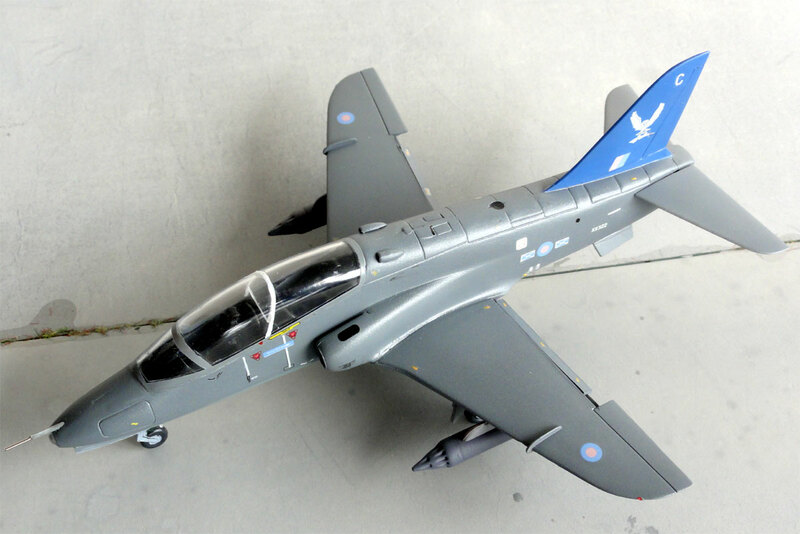 Decals from Modeldecal for Hawk T1 of 151 Squadron 2 TWU, Chivenor UK. It has a central gun pack. Another Matchbox kit, with Modeldecalset for a Hawk of 151 squadron. This model has rocket pods. Medium sea grey -637- upper surfaces with lower grey undersurfaces.